Enjoying wine by the glass – without opening the bottle. Storytelling at the best time of the year: wine lovers and experts alike recommend Coravin. The Coravin wine system lets you access and pour wine from a bottle without pulling the cork.. Argon, the inert gas used in the process, is a natural component of the air we breathe and protects the wine from oxygen. The wine left in the bottle remains unaffected by external influences, which of course means that it can continue to mature. This means that inventor Greg Lambrecht has fundamentally changed the way wine is enjoyed and even sold. First of all, we take this innovation on an editorial tour and fill the glasses of journalists in the opinion-forming media in a novel way. Wine journalists and wine professionals are impressed. End consumers are won over by the media. We also rely on recommendations by genuine end users. Panama PR kicks off a word of mouth marketing campaign at the best time of year, just before Christmas. 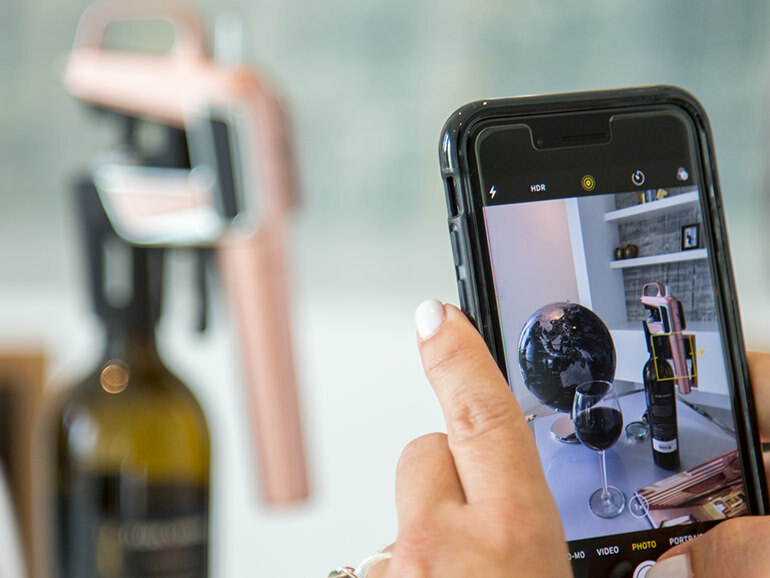 Wine aficionados as well as trade and restaurant professionals tell their Coravin stories and recommend this lifestyle accessory. Right before the festive season when wine purchases are booming and people are on the look-out for a suitable present, Coravin is on everyone’s lips. Tasting several wines in one session and enjoying mature, rare wines one glass at a time – the testers are impressed. The result: Magazines, newspapers and TV shows such as Spiegel, GQ, Frankfurter Allgemeine Zeitung and ZDF Morgenmagazin all feature Coravin. Within a period of four weeks, 32 testers publish 276 posts on Facebook and Instagram as well as their own blogs. With this user-generated content and emotionally appealing photos and videos, they reach more than 250,000 internet users. 10,000 likes and more than 600 comments for Coravin.